With the rising popularity of the SUVs and crossovers in India, manufacturers prefer launching vehicles which are SUVs or have SUV-like stance. In the past, manufacturers have launched crossover versions of the hatchbacks to widen the product portfolio of crossover and SUVs in the product line-up. Maruti Suzuki already offers the Celerio X crossover, which is based on the Celerio hatchback. 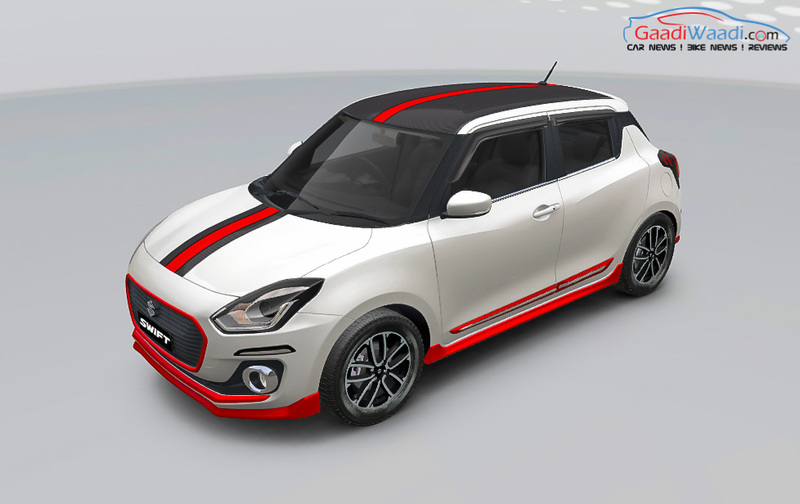 Similarly, what the Maruti Suzuki hatchback will look like if Maruti Suzuki ever decides to bring a crossover version of the popular hatchback to the market? Here is a rendered image that shows the same. 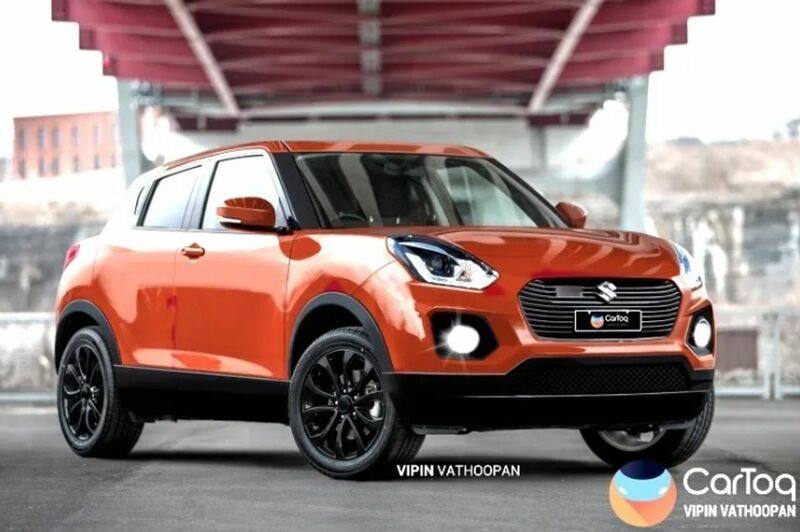 The imaginary rendered image shows the Maruti Suzuki Swift in the crossover form. It gets bigger wheel arches and a raises suspension that increases the ground clearance. The vehicle also gets a plastic cladding all around that adds a rugged look to the vehicle and saves it from underbody damage. Other changes include a new front bumper that looks much more rugged than the stock version. The strategy of launching a more rugged version of the hatchback has been adopted by various manufacturers. In the past, Tata Tiago NRG, Ford Freestyle, Toyota Etios Cross, Volkswagen Cross Polo, Fiat Avventura and so on are crossovers that are based on the hatchback version of the models. If Maruti decides to go ahead with the Swift Cross, we can expect the more powerful 1.5-litre diesel engine powering the crossover. Maruti will soon launch the all-new diesel engine with the Ciaz and the Ertiga in the Indian market. The regular Swift is powered by a 1.2-litre engine that generates a maximum of 82 Bhp – 113 Nm and a 1.3-litre diesel engine that produces a maximum of 74 bhp and 190 Nm. SUVs are gaining popularity around the world. Even Tata Motors cancelled their mid-size sedan in favour of an all-new SUV that will bridge the gap between the Nexon and the Harrier. Even Maruti Suzuki will launch an all-new entry-level SUV, which will be based on the Future-S Concept in the Indian market. It will sit below the Maruti Suzuki Brezza and will give a boost to the Maruti Suzuki’s product line-up.